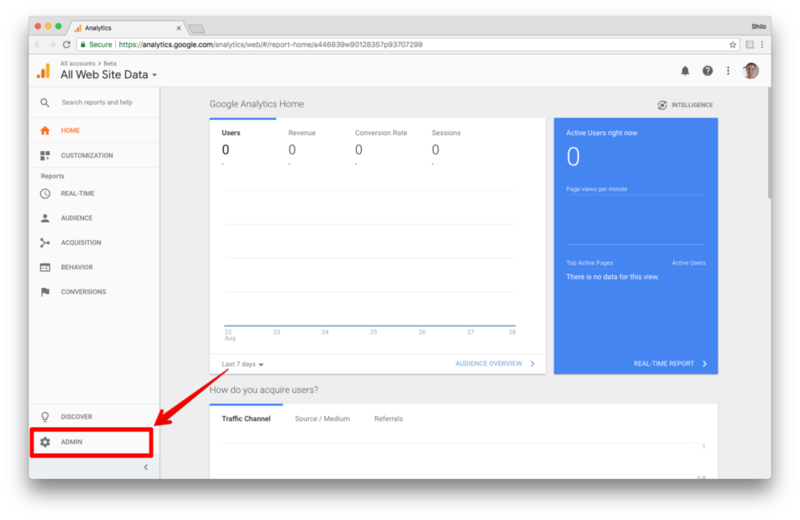 1) Sign in to Google Analytics..
2) Click Admin, and navigate to the desired account/property/view. 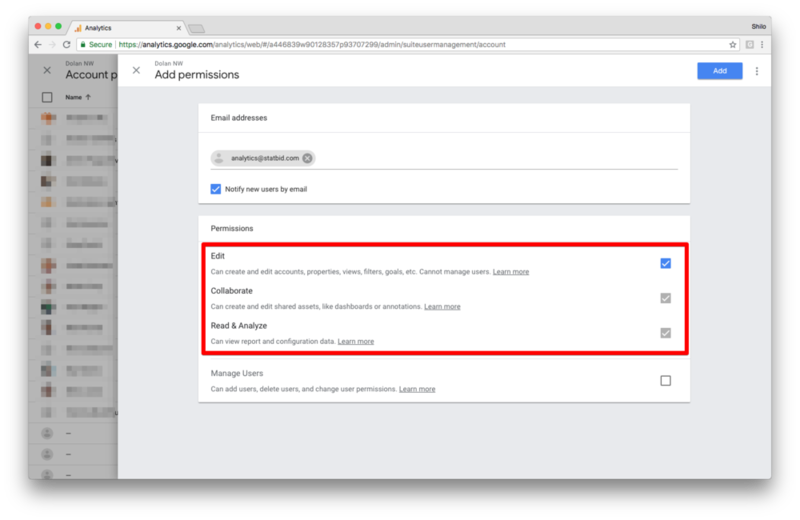 3) In the Account, Property, or View column (depending upon whether you want to add users at the account, property, or view level), click User Management. Our preference is to setup up the access at the Account level. 4) Select Notify new users by email to send a message to the user.